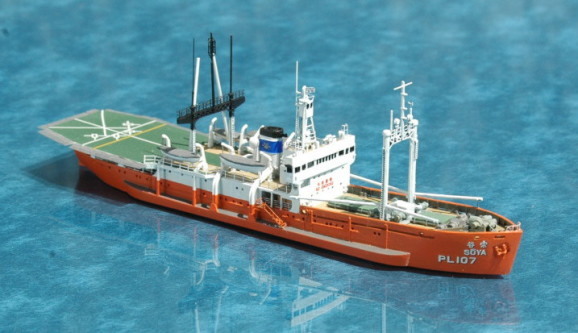 Completed in June 1938 as civilian freighter Chiryo maru. 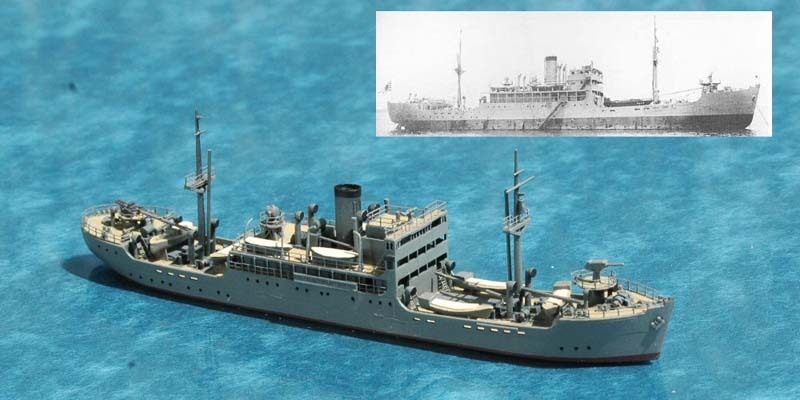 Survived war and later became the first Japanese Antarctic Research Ship..
Model: Soya in 1941 and post war. Loa (former)...117.5mm.